The Congress Thursday said the country's economy was in dire straits with Union Finance Minister Arun Jaitley "defending defence deals". It also alleged that investments have plunged to a "14-year low" in the country coupled with 72 per cent rise in bank frauds last year. "'Modinomics' plus 'Jaitleynomics' is equal to peoples' 'jumlanomics'. The economy is in dire straits and the countdown for Modiji's exit has begun. The economy is sinking, finance minister is defending defence deals," Congress spokesperson Abhishek Singhvi told reporters. He said going by the government reports released in the last 72 hours, bank frauds in the last year have risen by 72 per cent. "As per an RBI report, there was a 72 per cent rise in bank frauds in 2017-18," he said. Singhvi also said non-performing assets (NPAs) of Mudra loans have doubled in 2017-18. The RBI report has revealed that fraudsters have looted around Rs 41,167 crore from the banking system in the financial year 2017-2018, a sharp rise of 72 per cent over the previous fiscal year, he said. "May be you want to change the Governor (RBI) within a week again because somebody has published this report," the Congress leader said while taking a dig at the government. "The amount of Mudra loans given by state-owned banks that turned into NPAs rose to Rs 7,277.31 crore in 2017-18, nearly double of Rs 3,790.35 crore of NPAs recorded in 2016-17," he said, citing the Finance Ministry data. 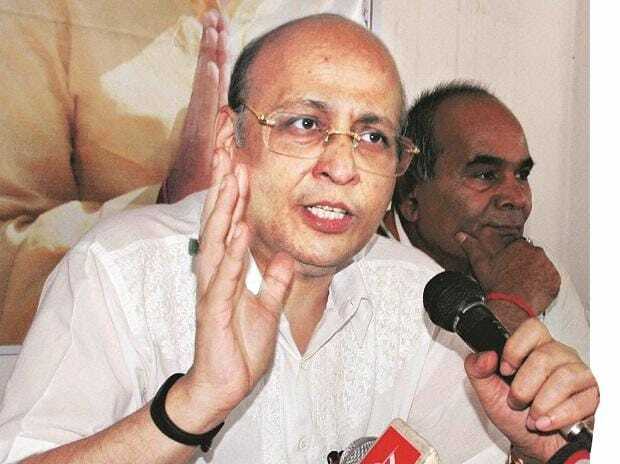 Singhvi also alleged that investments in India plunged to a 14-year low as far as the December quarter was concerned.